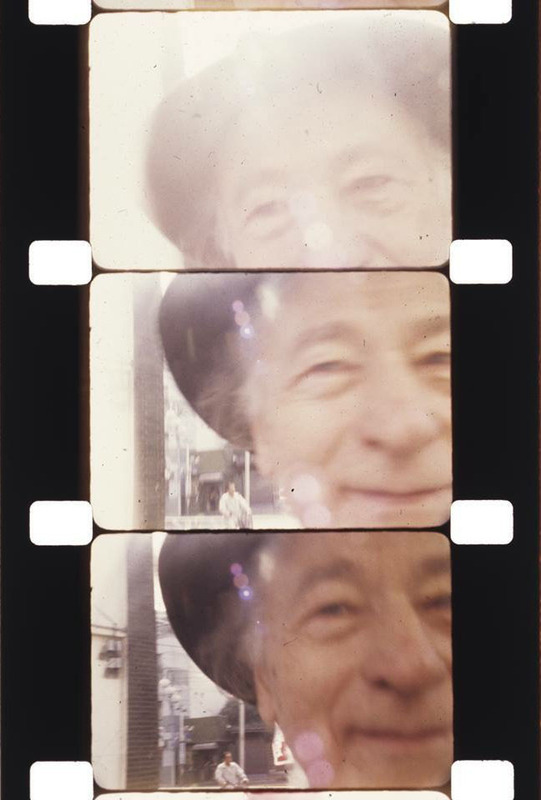 Engauge Experimental Film Festival, in partnership with Northwest Film Forum, celebrate the life, legacy and work of Jonas Mekas (12/24/1922–1/23/2019). Senses of Cinema calls Mekas the “midwife of the New York Independent Cinema,” a term he preferred, and a more accurate description of his influence than the usual label “godfather.” Curator, critic, filmmaker, and enthusiastic patron of other filmmakers, Mekas was part of a small group of New York-based filmmakers who founded the journal Film Culture, the Filmmakers’ Co-op, a distribution center for independent films, and the Anthology Film Archive, an institution devoted to preserving and screening such work throughout the year. His contemporaries and co-conspirators included Maya Deren, Stan Brakhage, Shirley Clarke, Robert Frank, and Marie Menken. Independent, artist-made, noncommercial, avant-garde, underground, experimental (whatever you want to call it) film would not be the same without the sure hand of Jonas Mekas, 16mm midwife. A small port in South of France, a lighthouse, the sea, shot from just before the sunrise until just after the sunset, all day long, frame by frame, a frame or two every second or every few minutes. (1982, 35 min) Music: Velvet Underground, recorded in 1966. Opening segment taped at the Dom at the public performance with Nico. End section: Mass for Andy Warhol at St. Patrick’s Cathedral. The film is made up of my film diaries related to Andy Warhol from the years 1965–82. Locations are New York and Montauk: The Factory, house of George Maciunas, village gate, psychiatrist’s convention, home of Stephen Shore, Warhol Estate, Montauk, etc. The “cast” includes Lou Reed, Nico, Edie Sedgwick, Gerard Malanga, Andy Warhol, Allen Ginsberg, Ed Sanders, Barbara Rubin, Tuli Kupferberg, Peter Orlovsky, John Lennon, Yoko Ono, George Maciunas, Vincent Friemont, Henry Geldzahler, Paul Morrissey, Karen Lerner, Jay Lerner, Peter Beard, John Kennedy Jr., Lee Radziwill, Tina Radziwill, Anthony Radziwill, D’Allessandro, Caroline Kennedy, Mick Jagger, Jade Jagger and many others. Ringling Bros., filmed in three sessions (three-ring circus), with no post-editing of opticals, five rolls strung together as they came out of a camera. Jim Kweskin’s Jug Band prepared the soundtrack. Film can also be watched with soundtrack turned off (if you’re a “purist,” which I’m not). (1996, 24 min). [On] October 9, 1972, an exhibition of John Lennon/Yoko Ono’s art, designed by the Father of Fluxus movement, George Maciunas, opened at the Syracuse Museum of Art (curated by David Ross, presently director of the Whitney Museum). Same day an unusual group of John’s and Yoko’s friends, including Ringo, Allen Ginsberg and many others gathered to celebrate John’s birthday. This film is a visual and audio record of that event. That period when I was in New York, close to the Anthology [Film Archives], gave me an immense sense of freedom and openness. For me it is difficult to talk about Jonas without speaking about the atmosphere, the group who was around him: dancers and painters and theatre people like Richard Foreman. It was a new world, a new way at looking. I arrived in New York when I was 21. Babette Mangolte [cinematographer and Akerman’s frequent collaborator] introduced me to all these people – it was a revelation and indeed brought me to another space, another kind of viewing art, cinema and so on. Jonas was a kind of centre, not only because he had the Anthology, but by his attitude. I remember coming to show him my first film, Saute ma ville, and how encouraging he was. Jonas Mekas is an international treasure – but a very difficult man to categorize. He is a remarkable artist and filmmaker, a poet, a cultural anthropologist, preservationist, curator, visual diarist, literary editor, provocateur – and an irrepressible inspiration. His influence is also impossible to summarize. I’ll just say that for me this man’s work, his mind and his invaluable perspective continue to open up and feed my own. For Jonas, forms are fluid and seemingly interchangeable, yet he approaches each one with a particular kind of wonder and enthusiasm. I can only hope that I might carry, to some small degree, his beautiful influence and love of the process of expression in my own mind, work and perspectives. Jonas Mekas was a great filmmaker, but to me his greatest legacy will be his cooperative, collaborative work in service to experimental film. He wasn’t in it for himself alone; he understood that filmmaking requires community, and he showed up for our community in every way possible. When nobody would write about avant garde film, he started a column in the newspaper, then a critical journal in which other artists could contribute their own thoughts. He worked with artists to promote and distribute their films all over the world. He saw the importance of preserving the films made by artists long before there was popular support for such a thing. In every interview I have read, he tells the stories of others, anyone who helped shoot or made connections or drove the van. His films are full of people, real people whom he loved and cared about, not just as characters or subjects. He showed up for screenings, participated in discussions, and shared his movies with everyone until the day he died. Sometimes I get very discouraged by the disgraceful history of the American avant garde, and by the increasingly self-serving, capitalist model that has nearly taken over the practice of making and showing experimental film. But losing Jonas today has gotten me fired up to do better, and to carry on the practice of contributing to the community that Jonas and his collaborators helped build in the first place. Filmmaking is a community, not a competition. EXcinema is a Seattle based cinema club, and a monthly experimental film series featuring local and visiting filmmakers at Grand Illusion Cinema.